Maroubra Beach was my backyard when I lived on the Eastern Beaches. I literally lived only minutes from the popular Mahon Pool and of a morning I could stand on my outdoor chair in the back yard and see the ocean. Which came in handy when predicting a great sunrise. The image below is a typical shot taken on Maroubra Beach on sunrise. Just down from the Maroubra Surf Life Saving Club. Maroubra Beach is a public beach. The beach has a great view point from Marine Pde near the intersection of Bond Street. That is where the below two images were taken from. The first is one of my favorite images taken on sunset. Kind of reminds me of a shot from Lord of Rings. The next shot from this location taken on sunrise. WARNING: This location requires you to stand on a sandstone rock ledge and there are no barriers. Exercise caution when shooting in this area. The above shots are from the southern end of the beach. The northern end does have a few nice features as well, but nothing compared with the southern end of the beach. But an image from the nothern end is below. 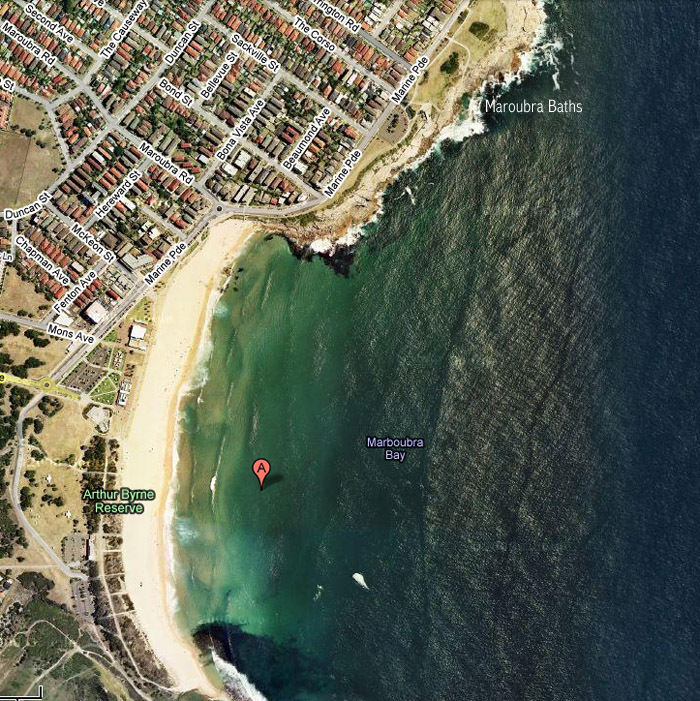 Now moving onto what I believe is the gem in the crown of the Maroubra area and that is Mahon Pool. Featured below. This shot was the first I took of the area and is on sunset. After a storm. The beautiful rainbow and it’s lighter twin. A common sight. Maroubra Beach is at it’s best in the morning and evening light. What place isnt. But to get the best shots I think selecting days with interesting cloud will enhance any shot taken here. Maroubra Beach is on Marine Pde. Mahon Pool is located on Marine Pde also near the intersection of The Corso. Are Maroubra images still available for purchase? Currently live in Melbourne so I hope postage wont be an issue.